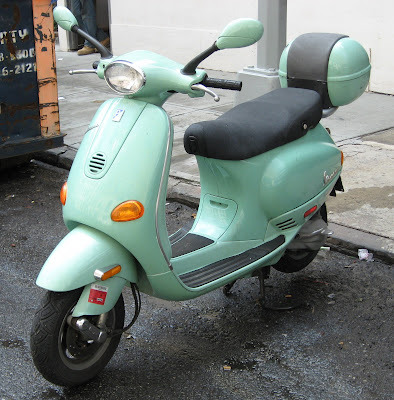 When I was in high school in the late 80's, having a scooter was pretty cool...but to have a Vespa was like owning a classic sports car. Their popularity's been pretty resilient, especially during the recent gas crisis, despite the $3,000 to $6,000 price tag. Now those cool little scooters are coming to Little Tokyo. The CRALA recently signed off on a permit for Vespa Scooters to open a 2,500 sq ft dealership in to the former Shakojuku building at the southwest corner of Central Avenue and 3rd Street. We'll post renderings and plans of the storefront as soon as they become available. Thanks to Ron for the tip.